We often are too busy in our hectic lifestyles, working round the clock, coloring, treating, styling and using dryers on our hair that we could barely spare enough time for our crowning glory, i.e. our hair. Hair is one of our biggest assets. It has the power to transform our looks without any surgical intervention, and also the power to spoil the entire look if not taken care of. I am very touchy about my hair and seldom experiment with multiple products. There are few names that I trust and Schwarzkopf is among those top few. With growing pollution, lifestyle pressure and increased thrust on looking good by using heating and styling products like a Blow dryer, curler, Styling gels, the hair takes all the damage and unwanted yet unavoidable pressure. Hence, just a normal consumer shampoo would not do any good for your hair. We need something special, something tailor-made and indeed a specialist. To me, that specialist is Schwarzkopf. Recently I tried this new Bonacure range from Schwarzkopf and much to my delight, I loved the things it does to my hair. Initially, I was non-believer thinking, ah! That's the first time glory, but trust me, I have been using the Shampoo and Conditioner from last 1 month and after every successive wash, it left me to feel good about my hair. 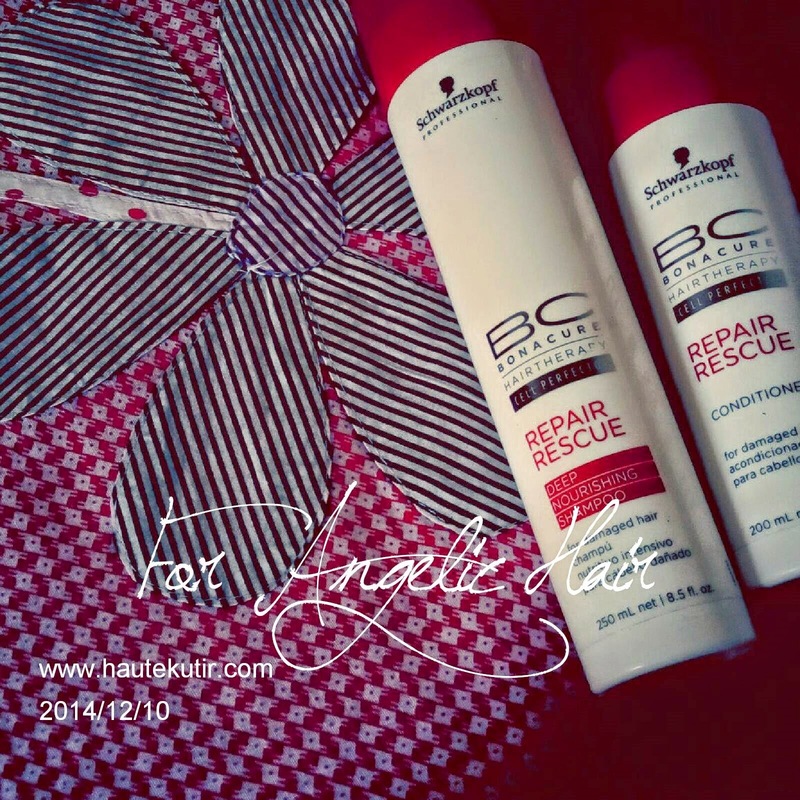 Schwarzkopf BonaCure Repair Rescue is a professional haircare company from Berlin, Germany. Schwarzkopf & Henkel is one of the largest cosmetic companies in the market. Their extensive portfolio includes many best known brands and best-loved products in colorants, styling, hair care, toiletries, skin care, oral hygiene, and fragrances. 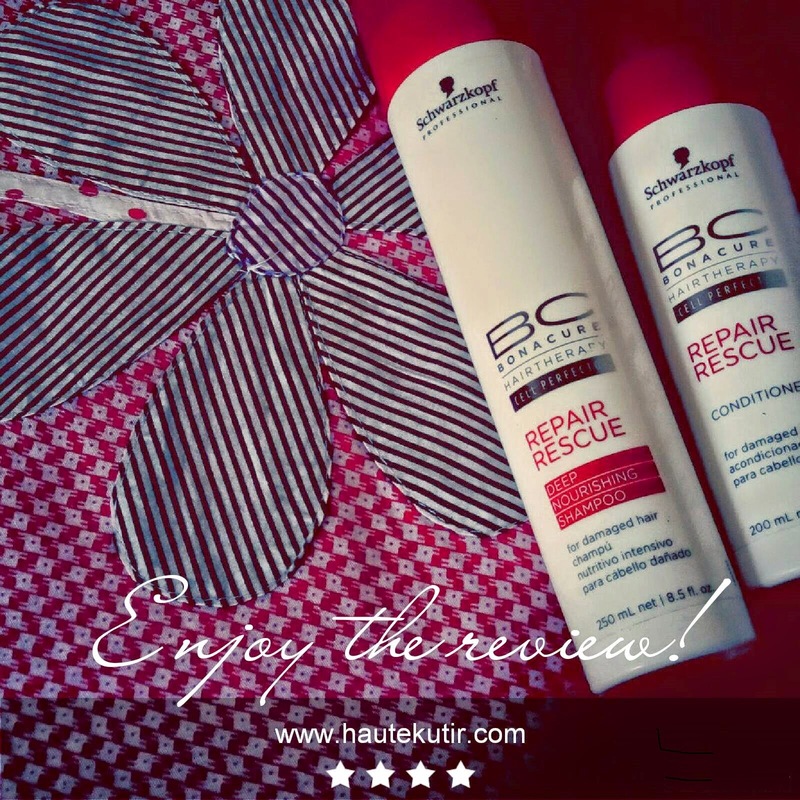 Schwarzkopf BonaCure Repair Rescue Shampoo aims to turn your dream of long, smooth hair into reality with their Biomimetic technology for hair. The Biomimetic hair repair formula strengthens the hair while leaving it soft and bouncy. Cell Repair formula aims to repair the quality of hair and helps in rescuing the hair roots from breakage. Long, lovely Rapunzel hair is quite a possibility with Bonacure. Nourishes hair, enhancing the natural shine. Moisturizes hair eliminating dryness and rough ends. Amino Acid helps repair the hair structure. 2) It forms adequate lather that your hair may need. 3) It has good combat system to wash away the external oil on your scalp without overusing. In case, if you have applied an excessive amount of hair oil, then I would recommend for using it twice. 9) Packaging: I loved the slender, long cylindrical packaging that comes with a sturdy flip top and easy to store. The conditioner works fine into your hair. It is non-sticky, not very thick, neither runny and even a small amount does the job well. You need not apply to scalp but just on lengths and rinse immediately. Voila, your hair is smooth again! 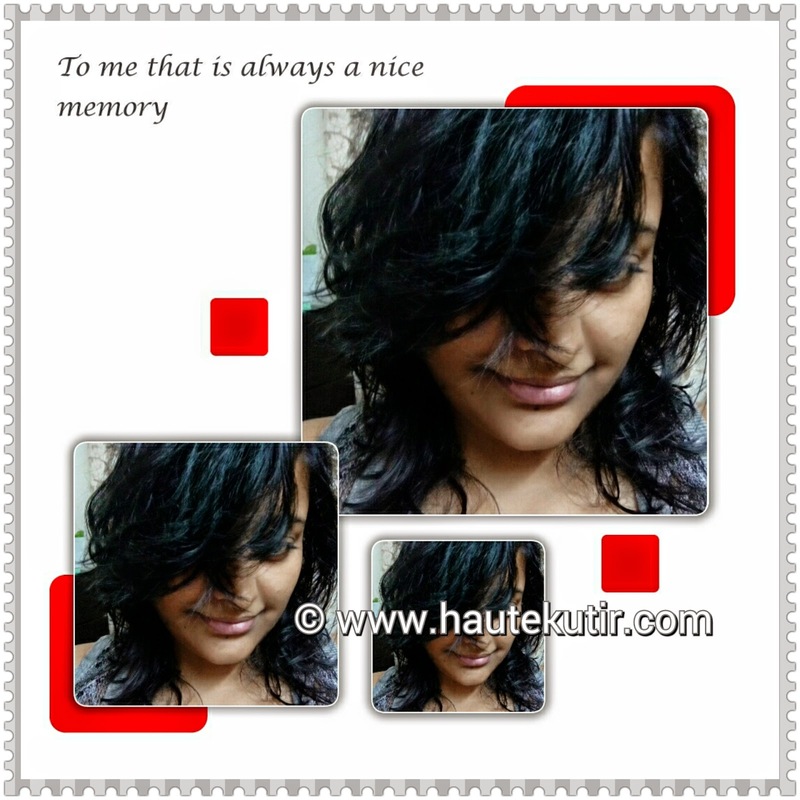 Haute Kutir Verdict: Overall, I simply loved the shampoo and conditioner, and they have replaced all my other shampoo and conditioner including my favorite Tony and Guy, on my shower shelf. Like I said multiple time above, the product is mild and leaves your hair smooth, cleanse, bouncy and shiny after every usage. I am already having a hair fall issue which was not though stopped but neither has been aggravated. The conditioner is just the right thing your hair needs. 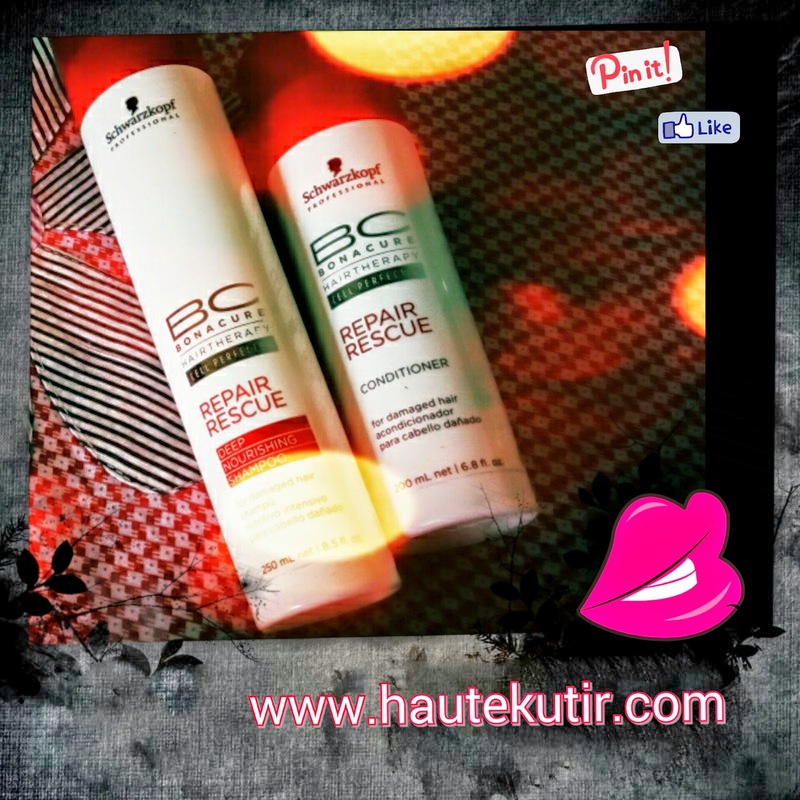 My hair are prone to Dandruff but Thankfully unlike other professional shampoo like L'Oreal Repair, Schwarzkopf BonaCure Repair Rescue Shampoo has not aggravated the dandruff issue, nor makes the scalp itchy, which is a good thing. One of the best thing about the product is that- it helps your hair retain it's form and cut without making you use curlers or blow dryer. Hair are visibly smooth and bouncy. I so much loved my hair post wash. I am definitely going to continue using this product. Would I repurchase: Yes, provided I do not find another solution which is as good, or better with similar or lesser pricing. Yes, with almost all know e commerce portals like Flipkart, Nykaa and others. So, what are you waiting for? If this is what your hair is looking for, go and get it! Besides, this is not the end, stay tuned to this blog for more updates on Schwarzkopf BonaCure Range. Do follow me on Instagram,Twitter and Facebook Page for quick updates. Yup I loved it absolutely! Cool. Let me know your experience if possible. Thanks :) Stay tuned as I am gonna more from the #Bonacure range. Thank You Indrani. I am glad that you liked my review. Stay posted.